Welcome back to the final installment of the 2008-09 Precon Championships, and today we’ll be crowning a winner! The deck pool has been smaller for this season than it was for the 2009-10, so it’s made for a very quick and unpredictable format! That said, it would seem that the playing field was quite the level one, because every set represented has seen at least one of their decks advance to the Elite Eight. Jund and Esper had the most to be proud of, watching their decks climb over the field and reach for the top, while others like Bant had to suffer the indignity of coming up on the short end of every match they played. The Duel Decks- always a favourite thanks to a rare-heavy and focused construction- gave a good accounting of itself. Jace’s Deck is now in the Final Four, while Chandra quashed Naya Domain on her way to an upset by Rumbler. Demonic fell in its first matchup, but Divine surprised some by strongly contending until it, too, fell to Jund Appetite for War. At every point, they’ve been a force to be reckoned with, and now one of them stands on the verge of winning it all today. Coming out of the Nagle Division, Jace’s Deck is a study in control. With tons of countermagic and card drawing, it’s a more subtle deck than at first it might appear. Optimally, Jace locks down the red zone with some sturdy blocking options, counters your answers and best threats, and then wins in the air with one of his massive finishers. There’s a raft of utility morphing creatures and a number of alternate-cost spells to play, so it can be a tricky deck to pilot. Still, it has a high power level, and is the odds-on favourite to win it all today. Over to the other half of the Rosewater Conference, the Tinsman Division seems to have gotten a pass this season. Containing none of the Duel Deck entrants nor any deck from Alara Reborn, this was a battleground for two shards alone- Grixis and Esper. In a fratricidal twist, each deck found its own shardmate for an opponent, and in the end amidst the carnage only Esper Artifice was able to rise above. Focusing on heavy artifact synergies, Esper Artifice will be an interesting matchup against Jace as both decks have somewhat similar ideologies and methods. Look for the Rosewater Conference to be the home of control. The Tinsman Division, incidentally, was the home to the 2009-10 Champion, Eldrazi Arisen. Can they repeat the feat here? Now moving to the right side of the brackets, we find the Forsythe Conference, which plays directly against its Rosewater rival in being ‘the house that aggro built.’ Battling it out for the right to wave the Forsythe banner on high are a pair of very aggressive decks, Jund Appetite for War and the Grixis/Jund hybrid Dead Ahead. To get where they are they’ve had some high hurdles to overcome, and have more than earned their places of glory. The Turian Division’s Dead Ahead takes the best elements of its Black and Red components to build a deck with solid removal and a dose of hand disruption. Its very first opponent was the Demonic duel deck, after which it stepped over the smouldering corpse of Rumbler to contend for the shot at the championship. If it has a drawback, its in the many expensive cards that are packed into its 41- a bad hand could lead to a costly mulligan and weak start. Finally, we move to the Lauer Division. Jund Appetite for War has had a difficult path to get where it is. First it had to defeat the many giants of Naya Behemoths, whose massive creatures often dwarfed their own. From there it had to contend against the high-flying Divine Duel Deck, which had come off of a solid beating of another Jund deck, Primordial Jund. Through solid play and perhaps a bit of good fortune, it was able to overcome the odds and have as good a shot as anyone for winning it all. So will today’s Champion be crowned out of the controlling Rosewater or the aggressive Forsythe? Let’s find out! As expected from this pair if Blue-based decks, this game was all about control. Both lead with early plays, dig their trenches, and resort to the aerial war to decide the game. Esper builds its wall from Tidehollow Strixes and a couple of Windwright Mages, giving it both the threat of immediate, painful death to attackers of any size as well as some lifegain, but it was the 3-toughness of the Sanctum Gargoyle that would prove especially handy. Jace, on the other hand, gets some mileage out of a pair of Walls of Deceit, which take the teeth out of Esper’s ground game. A couple of Mulldrifters are held at bay by the Gargoyle, though they eventually meet their end once the spark sets off the powder keg. An Errant Ephemeron is a removal magnet for Esper, but twice Jace is ready with the Repulse to yank it to safety. Two deeply-discounted Spire Golems also help gird the defenses. A host of countermagic (Condescends, Counterspell, Daze, and a Voidmage Apprentice) keep Esper off of its biggest threats, including a Tower Gargoyle and the Master of Etherium. Esper’s Marble Chalice/Onyx Goblet tandem puts Jace on a slow clock, however, and the end of the game becomes a race to get in lethal before being drained to death. The Ephemeron and an Air Elemental are finally able to chew through Esper’s defenders, and Esper’s fate is sealed with an all-in alpha strike the same turn Jace Beleren himself arrives to oversee victory. It is a slender one- Jace’s Deck wins at 1 life. With this much on the line, Jace himself again appears- this time on turn 4- to see to things personally. His threats materialise slowly at first. A turn-3 Spire Golem soon trades with a Tidehollow Strix, just in time to clear the lanes for a Quicksilver Dragon. The Dragon is followed by Guile, an Air Elemental, and a Waterspout Djinn, but held in check by a Tower Gargoyle and two Strixes (one returned to hand by a Sanctum Gargoyle). Esper solves Guile immediately with an Oblivion Ring, then does some heavy lifting with an Onyx Goblet, Filigree Sages, and Etherium Sculptor, soon joined by the Sharding Sphinx. Esper attacks relentlessly, not wanting to give Jace the luxury of time, but Jace musters a defense by Repulsing a Tower Gargoyle, paving the way for a 13-point aerial counterstrike. Both sides trade blows, with Esper’s Onyx Goblet steadily draining Jace. Indeed, were it not for a topdecked Bottle Gnomes the Goblet would have carried Esper to victory, but it was not to be. Jace surprises Esper’s defenses with a pair of Man-o’-Wars, banishing Esper’s two best defenders back to hand, and now has enough room to deliver the killing blow behind the Dragon. Your 2008-09 Rosewater Conference Winner! Jund is hurting from the opening gate as it mulls down to 6 cards, keeping a 1-lander with some promising- but risky- options. Dead Ahead deploys a Dregscape Zombie and Bog Wraith, the latter hitting once before drawing an Incinerate. Jund gets land starting on turn 3 and begins to stabilise, and a series of creature trades prevent a heavy buildup. A Dregscape Zombie takes a Toxic Iguanar. Dead Ahead’s Blister Beetle picks off Jund’s Viashino Slaughtermaster. A Gluttonous Slime gets Terminated. Jund gets Blightninged, then loses a Branching Bolt the very next turn to Sanity Gnawers. Although playing off the top of the library, Jund keeps the pressure on with Saproling tokens and Goblins (via Dragon Fodder). Dead Ahead is back on its heels, desperate for a 6th land drop to stabilise with a Deathbringer Thoctar (which can kick off a chaining loop wiping out every 1/1 token Jund has once any single creature dies), but it never comes. Having dropped the first game, Dead Ahead now has something to prove and must fight to stay alive. It leads off with a Dregscape Zombie, then landcycles the inferior Igneous Pouncer to stay on curve. This allows it a Bog Wraith, with cause for optimism for being able to land its Deathbringer. Jund, on the other hand, plays a ton of early weenies with a Toxic Iguanar, two Tukatongue Thallids, and a Dragon Fodder. Dead Ahead gets out a Monstrous Carabid which pops a Sprouting Thrinax blocker next turn, and Jund gambles on a Gluttonous Slime. Dead Ahead has the Terminate, though, and Jund never recovers. It’s going to three! Jund leads with a Viashino Slaughtermaster which gets killed by a Blister Beetle. Next turn sees a Dregscape Zombie, while Jund drops a pair of Tukatongue Thallids. Dead Ahead gets its 4th land drop after landcycling the Igneous Pouncer and scores a desperately-needed Mountain right after Jund deploys a Hellkite Hatchling that devoured for 2. The Mountain opens up a Terminate, and the Hatchling is virtually dead on arrival. Dead Ahead presses the advantage with a Blightning, then a Blood Cultist and Lightning Reaver. A Voracious Dragon is Jund’s final defense alongside an Ember Weaver, but Dead Ahead topdecks its second Terminate. The follow-up Cruel Edict makes sure both defenders are dead, and the Lightning Reaver takes over from there. Your 2008-09 Forsythe Conference Winner! What a journey its been! After seventeen matchups, we are on the verge of declaring a Champion. From the Rosewater Conference, we have the control strategy of Jace’s Deck, and from the Forsythe we have Dead Ahead’s aggression and disruption. Will the planeswalker poster-boy Jace Beleren have his way with the Jund-Grixis axis, or will Alara Reborn keep him off-kilter through discard and hard-hitting play? We go now to the arena of battle, where both titans prepare to square off. Although Dead Ahead gets on the board first with a turn-2 Dregscape Zombie, Jace appears on the battlefield next turn, letting both draw a card. 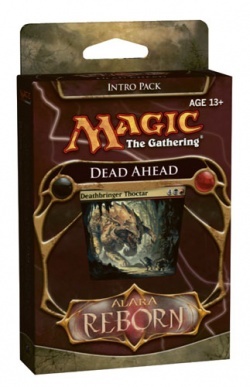 Dead Ahead isn’t fooled- free cards aren’t free when your opponent is drawing more of them- and orchestrates Jace’s demise by attacking with the Zombie and then following up with a Blightning. Jace is ready with the Daze and the plot is foiled. Jace then looks to plug the gap in his defenses with a Wall of Deceit, while Dead Ahead produces a Singe-Mind Ogre. The random damage effect from the Ogre is a whiff, though, when an Island is revealed from Jace’s hand. Jace adds a Spire Golem to the board, while Dead Ahead deploys a Leonin Scimitar and equips it to the Ogre. It then goes for Jace’s hand with a Sanity Gnawers, sending an Æthersnipe tumbling into the graveyard unplayed. It’s now turn 6, and neither side has managed to damage the other. Jace fixes that by sending in his Spire Golem for 2, continuing to alternate between his builder (+2 loyalty) and single-card draw (-1) to keep his hand filled with options. Dead Ahead must know that this can’t go on for long, even if it is safe from Jace’s ultimate (milling a stack from the library into the graveyard would be a blessing with unearth). 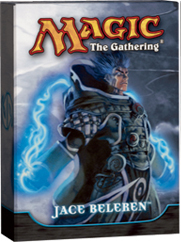 After laying down a mysterious morph creature, Jace passes. Dead Ahead plays an Igneous Pouncer and attacks with the force for 12. The Gnawers are picked off by the 2/2 morphling and the Ogre is blocked by the Wall, but 7 damage still get through. Next turn Jace attacks with the morphling, then summons Guile. Dead Ahead goes deep into the tank, facing a must-answer threat it has no answer for. With Jace tapped out, it decides to roll the dice. First it cycles a perfectly good Monstrous Carabid, looking for a answer. Turning up instead with a useless Terramorphic Expanse, Dead Ahead doubles down and casts Bituminous Blast on the Spire Golem. It’s overkill perhaps, but all it’s got. The cascade kicks in, first turning over a Swamp… then Deathbringer Thoctar… another Swamp… and then a Terminate! Unbelievable luck! Guile is solved and leaves play, shuffled back into Jace’s library, and the Golem heads for the scrapheap. Dead Ahead takes advantage of the gap with an all-out assault that hits hard for another 7 damage, leaving Jace at 6 life. Jace digs into the library on turn 8 with a full-strength Mulldrifter, then replaces the lost Golem with another (for free, thanks to affinity). Looking to keep the pressure on, Dead Ahead swings with the team. The Dregscape Zombie dies to the Spire Golem, the Igneous Pouncer trades with a morphling (a Fathom Seer), and the Ogre gets stopped by the Wall- a blunted attack. It follows up by summoning a Dreg Reaver, and ends its turn. The Dreg Reaver comes right back to hand on turn 9 with a Man-o’-War before swinging in the skies for 4 with the Golem and Mulldrifter, leaving Dead Ahead at 12. A Counterspell nips the Dreg Reaver in the bud when Dead Ahead tries to resummon it, and Jace’s next-turn Waterspout Djinn is all the reinforcements Jace needs to finish off his stalled-out opponent. After Jace’s turn-2 Mind Stone, Dead Ahead has more success than last game in landing an early Blightning. It resolves, and costs Jace an Island and an Æthersnipe. Jace responds by playing a morphed creature. Next turn, Dead Ahead tries again with the Singe-Mind Ogre and again finds some unlikely good fortune. The Errant Ephemeron that is revealed slams Jace for 7 damage, and without swinging with a single creature Dead Ahead has Jace at 10 life. Jace suspends the Ephemeron, then passes. Now turn 5, Dead Ahead attacks with the Ogre for 3, while Jace digs in his library after unmorphing a Fathom Seer. Next turn’s Ogre assault is chumped by the Seer, while a Deathbringer Thoctar gets Counterspelled. Jace then digs again with a Mulldrifter, looking desperately for something to stabilise the board. The Mulldrifter chumps the Ogre for another turn, but Dead Ahead takes advantage of Jace’s vulnerability to snap off a Breath of Malfegor. Jace is now at 2 life, and on death’s door. Another morphling touches down, keeping the chump stream alive. Although normally the morphling might trade out with the Ogre, Dead Ahead first prepares the way with a Blister Beetle, giving the morphling -1/-1 until end of turn, but Jace can’t afford not to block. A painful loss- it was a Voidmage Apprentice. Dead Ahead plays a Viscera Dragger and passes. Back to Jace, the Errant Ephemeron leaves stasis almost too late, but a Man-o’-War to bounce the Dragger gives Jace a moment’s breath. Dead Ahead sees an opening, though, and exploits it, cycling the Viscera Dragger, then pulling it out of the graveyard with unearth. A Terminate saved for the Ephemeron knocks it out of the way, and Dead Ahead has evened things up! Jace starts off suspending an Ancestral Vision, while Dead Ahead plays a Leonin Scimitar, adding a Dregscape Zombie on turn 2. Jace plays another morphling on turn 3, while Dead Ahead equips the Zombie with the Scimitar and sends it into the red zone for 3. Now turn 4, Jace punches back with the morphling for 2, then plays another morphling. Dead Ahead swings again with the Zombie, and follows up with a Blood Cultist. Jace can only be grateful next turn when the Ancestral Vision pops, refilling his hand with fresh options, but tapping out for a Mulldrifter telegraphs that the Visions might not have given him much. Both morphlings attack for 4, leaving Dead Ahead at 14. Back to Dead Ahead, it attacks for 3 more with the Zombie, then summons a Singe-Mind Ogre. Another hit! The randomly-revealed card is the 6-drop Quicksilver Dragon, and Jace is back on the ropes with 5 life and fighting for his life. Jace Beleren himself emerges on turn 6 to try and salvage the mess his deck has found itself in, building his loyalty on the first go. The Mulldrifter is sent in to keep some pressure on, and Dead Ahead is at 12. Jace passes, and Dead Ahead moves the Leonin Scimitar onto the Singe-Mind Ogre so that the morphlings can’t trade out with it. It attacks for 6 with the Zombie and Ogre tandem, and Jace decides to offer both morphlings up for blockers. The Zombie gets traded out, and with the Willbender and Fathom Seer head for the graveyard. Right before damage is dealt, though, Dead Ahead uses its Blood Cultist to ping a morphling, so it gets a +1/+1 counter added. Dead Ahead looks to press advantage with a Bog Wraith, but Jace has a Counterspell to head off the threat. Now turn 7, Jace looks to turn his fortunes around with the Quicksilver Dragon. Dead Ahead takes advantage of Jace’s tapping out to go for the throat with a Lightning Reaver, unearthing the Dregscape Zombie to add to the assault. Jace simply doesn’t have enough defenders, and falls to the onslaught. Dead Ahead’s creatures rush onto the field! They’re lifting the Lightning Reaver up on their shoulders and carrying it around!! The Sanity Gnawers and the Bog Wraith are dumping a cooler of vis onto the Deathbringer Thoctar!!! The Viashino Skeleton is riding the Monstrous Carabid!!!! Jace is being carried off the field in a stretcher!!!!! We’ll let them have their celebration, because they’ve more than earned it. Jace’s Deck was certainly the odds-on favourite here today, but it just goes to show that on any given Saturday, anything can happen. Congratulations to the winners, consolations to the runner’s up. The Rosewater and Forsythe Conferences are now split at one title apiece, and we’ll see who can pull ahead later this year when the 2010-11 Precon Championships get underway. We’re signing off for now, thank you for watching! Your 2008-09 Preconstructed Champion! No retreat, no surrender! Surprised to see Jace’s deck not win it all, but Dead Ahead was clearly an excellent competitor throughout. My favorite, Jund Appetite for War, still had a good showing, so all in all a great tourney! Excellent experience, would read again A++++++ ..,_,,..–~~ ^v^v^~~–..,,_,,..
Why not an ultimate match between the 2008/2009 and the 2009/2010 winners? Might be a better idea to wait till a few more are done. Then could have a Tournament of Champions. Or a tournie of all the 1st and 2nd placers. 3rd too if required. 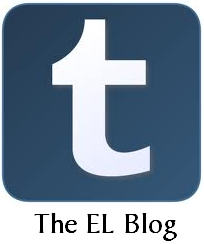 We’ve considered this ourselves… it would be awhile in coming, but it’s a fun concept to consider! I cannot express how happy despite my love for blue that Jace lost. The championship was a great read through and through. Well done! Jace got beaten by a 41-card precon, i didn’t expect that! I don’t like Grixis too much, but this was a good showing from dead ahead. Holllliiiiiieeeeee crap! This kept me on the edge of my seat, and while I’m sorry to see Jund Appetite for War beaten out by Jace, I’m glad Dead Ahead managed to grab that win it so rightly deserved! Now these are the magic moments in MtG … I consider myself impressed. By the way, don’t the intro packs have a bit of an advantage since they only have 40 cards? Theoretically, a 40-card deck will have an advantage in terms of consistency over a 60. That said, a powerful 60-card deck will have an advantage over a 40-card deck packed with Goblin Pikers. The 41-card intro decks for both Alara and Zendikar blocks actually didn’t place a high premium on consistency, so there was little advantage gained in the deck size. One might suggest that 41 cards meant that they were drawing their rares more often (true), but let’s take a closer look. 2 rares in a 41-card deck means one rare per 20.5 cards, but Jace’s 60-card deck packs in 4 (1:15). On that basis, Jace still holds the upper hand. Generally speaking, Duel Decks are favourites in these Championships because they tend to have greater rare density as well as consistency and focus. An upset like this is pretty exciting stuff. Thanks for the comment, and glad you enjoyed!